Did you delete your purchases on iTunes recently to save room on your computer or iDevice, but you’re wondering how you might be able to restore them? Generally, you can restore your purchases on iTunes anytime you want. You can do this a few different ways: by using iTunes itself or by using a useful third-party application that we’ll discuss further below. Step 2: Go up to the top and click Account, the click Purchased. Step 3: You should now see a list of media that you purchased previously. You can download it by clicking on the cloud icon. You can also restore your purchases from your devices using a transfer tool called iMyFone TunesMate iPhone Transfer. The advantages here is that you can restore purchases from other stores besides iTunes, and you can even restore non-purchased files to your iTunes library. Restore iTunes library from unlimited iOS device (even if the device has a different Apple ID), including purchase and non-purchases. Share music with your friends without restrictions. Two-way transfer to transfer purchases and non-purchases between iPhone and computer. Sync iTunes library to iPhone/iPad/iPod without any damage to iPhone data. Add and extract media from your iTunes library without even opening iTunes. Step 1: Install TunesMate on your PC or Mac. Plug your iPhone into your computer. Step 2: Click where it says “Transfer iDevice Media to iTunes.” Click Start. Step 3: Choose what types of files you would like to transfer. Click Start. After the transfer is done, click Complete. 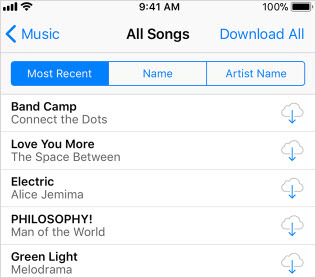 If you need to restore iTunes purchases selectively, you can head to “Music” or “Videos” tab on TunesMate and select the purchases to restore to iTunes library. 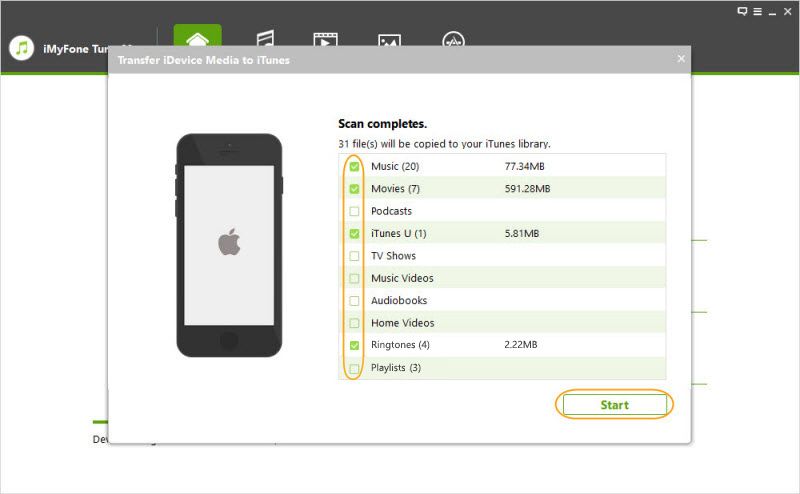 You can restore all the purchased media to iPhone/iPad/iPod all at once using iMyFone TunesMate’s 1-click function. Just follow below to sync all purchased files from iTunes library to iPhone without data loss. Step 1: Connect your device to your computer and launch TunesMate. 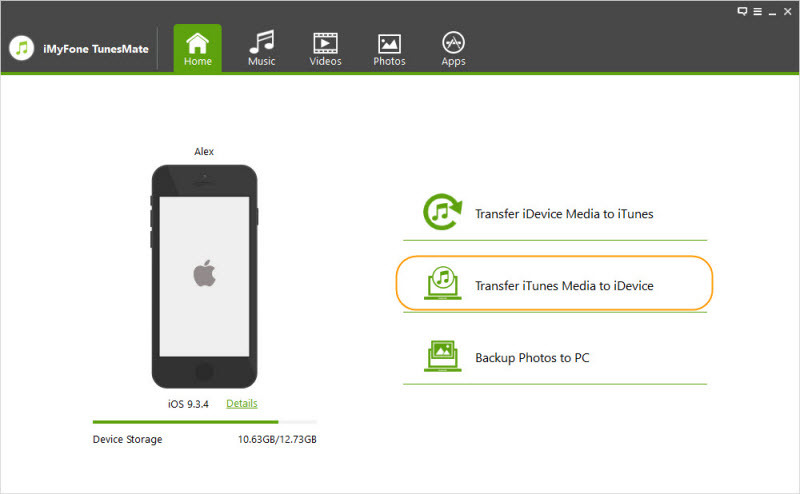 Step 3: Choose what kind of media you want to transfer from the categories provided, and click Transfer. After it’s done transferring, just click OK.
On your device, go to the iTunes store app. With an iPad, tap Purchased > Music. With an iPhone/iPod, tap More > Purchased > Music. Look through the list of media and tap the cloud icon next to the purchases that you want to download. Open up the TV or Video App. On the TV App, tap Library and then you can download from the list of media there. 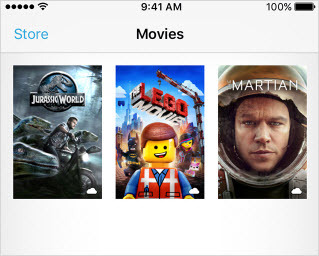 On the Video app, there should be a list of media for you to download right from the main screen. Open up iBooks on your device. Tap Purchased, then tap Books or tap Audiobooks, depending on which you intend to download. 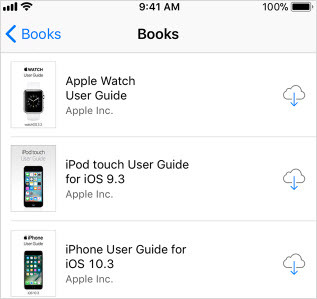 Now you can look through the different books and tap on the cloud icon to download them. On iOS 11, tap Settings > Sounds & Haptics. Note: This doesn’t work with previous versions of iOS.